ventures in logic and in the philosophy of mathematics have received less attention in these public fora. 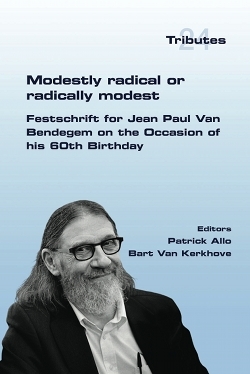 For this Festschrift at the age of sixty, some of Van Bendegem�s most important intellectual associates in these areas (colleagues and friends, often both), address topics that have been central to their intellectual exchanges with him. More often than not, these are connected in some way or another to Van Bendegem�s notoriously staunch finitism and focus on the human aspect of mathematics, the sciences, and indeed, even logic.